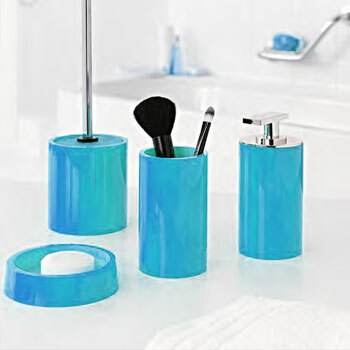 This bright blue and elegant bath accessory is ideal bath set for ultra-modern bathrooms. Use them to add visual impact to your bathroom! The size options include a soap dispenser. The pump is made by stainless steel. Designed and produced by Ridder in Germany. Ridder is a family-owned company established in 1946. They offer a high quality standard, and a 3 year quality guarantee.